Find yourself with some great flower but no way to grind it up? Check out these 4 handy grinder alternatives. Got some great herb but no grinder? No need to worry because we’ve collected the best methods on how to grind weed without a grinder all in one place. Plus, most of these techniques use items you can find around the house, so you’ll have nicely ground cannabis in no time! This technique is as simple as it is effective. Simply clean a dime with some hand sanitizer, drop it in a pill bottle with your cannabis and start shaking! The dime will ricochet off the walls of the pill bottle and should shred apart your herbs. 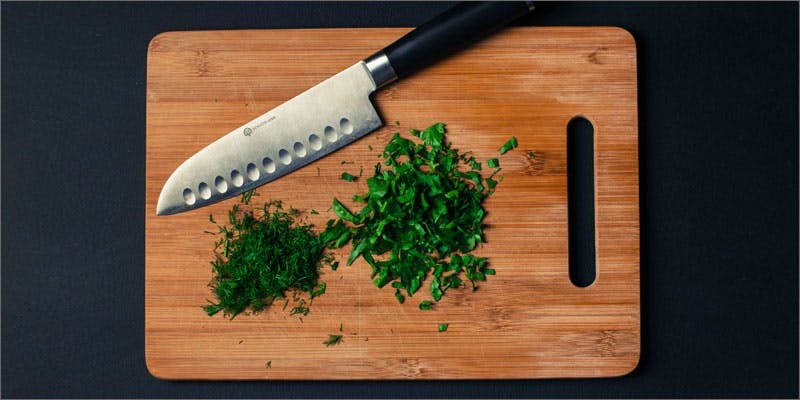 Depending on your knife skills, this method can be the fastest way to slice up you herb in times of need. Although your knife may need a good wash after, it should get the job done as long as it’s substantially sharp. This grinding method is perfect for the cannabis chef who enjoys making edibles and oils out if their flowers. The coffee grinder can shred up your cannabis in larger quantities at a fine consistency, which is important for decarboxylating your bud. Even though this grinder can be a pain to clean, it should be worth it if you plan on making some top shelf edibles or oils. This is a personal favorite for grinding weed without a grinder because most people have both scissors and a shot glass around the house. Simply toss your herb into the glass and start cutting! This method is not recommended for people who are planning on using the shot glass right away, as the cannabis will likely leave a strong residue that probably wouldn’t make a shot taste any more pleasant. Grinding weed with a cheese grater is very similar to grating cheese. Just take your bud and rub it along the side of your cheese grater with the smallest holes. You know, like the one you grate parmesan with? It’s pretty simple but you’ll want to clean that cheese grater out well before putting it back in mom’s kitchen. For larger amounts of bud, a blender can be your best friend. 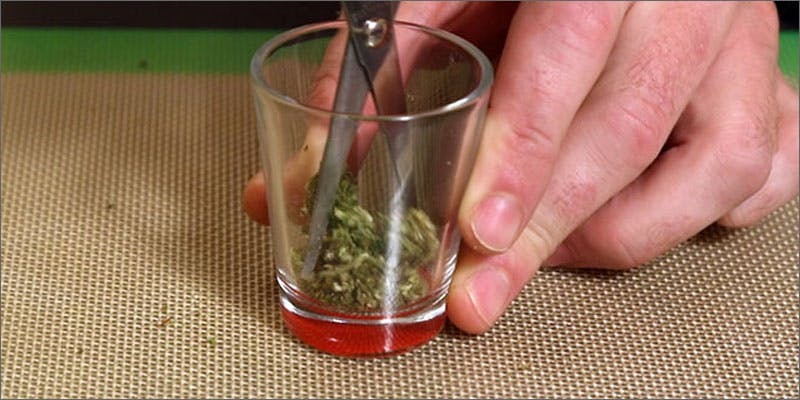 Try to break your buds off the stem first before putting them in the blender. Then, turn the blender on a low setting and watch it very carefully! You may need to stir your flower around to make sure it’s all broken up, but grinding weed with a blender usually works a treat. Grinding weed with a razor is similar to grinding it with a knife. You’ll want your bud on a plastic cutting board or a clean, flat surface. Then, carefully cut it up with a razor. If you have a sharp knife around it’s probably safer to use it instead of a razor, but if you’re very careful, a razor will do the trick. Last but not least, you can always grind your weed with your hands. This is the most time consuming way to grind weed, and you lose some of those precious trichomes because they get stuck to the oil on your fingers, but it’s always a good back up plan. To grind weed with your hands most effectively, pick it apart into small pieces, separating the stems so you’re left with small pieces of flower. Make sure you don’t leave any chunks too big, or it could mess up the burn of your joint or blunt. 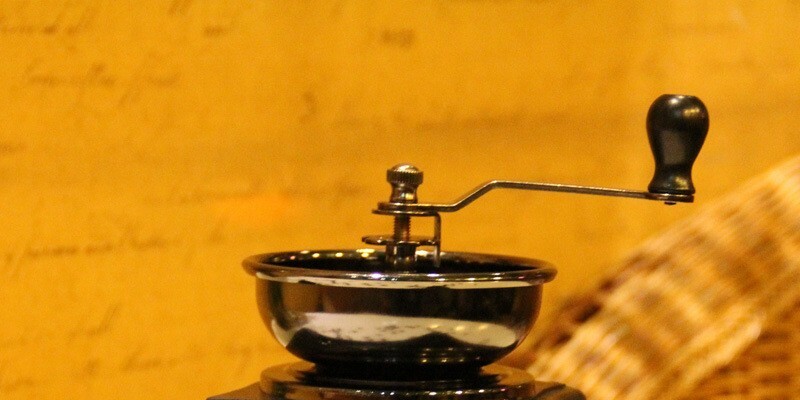 These methods will get you through in a bind – but, of course, a real grinder is also great. What is your go-to grinderless grinding method? Would you try one of these methods in a pinch? Let us know on social media or in the comments below!